This project can be viewed as the audio engineering extension of the Audio-Video Transcriptions project. Jacque Fresco gave lectures at his home starting from the 1950s. Ranging from late 1960s to 1980s, most of them were recorded on non-professional tape recorders available at that time. Audio technology has advanced greatly since then, with all the DAW’s and plugins available today it is now possible to greatly improve the sound quality of those recordings. We are inviting anyone with appropriate skills to engineer the sound for much better intelligibility and listening experience before releasing them. The project started with re-mastering of previously released set of 20 lectures. After that is finished, there is lots of new unheard material waiting to be processed. Join us to collaborate with the experienced team members. 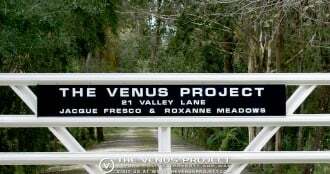 A great opportunity to learn more about The Venus Project’s many scientific and technical solutions, and add to your audio engineering skills. To join, please follow the instructions on this page.